As we age, natural collagen and elastin depletion causes the skin around our eyes begins to sag. This, in turn, causes the eyelids to droop and creates an older appearance and, at times, limits peripheral vision. Blepharoplasty (eyelid surgery) is a common procedure and a great remedy to counteract this. Dr. Michael Yoo is located in Irvine, CA and is an expert in facial surgery. Contact his office today to request a consultation. 2 Is Blepharoplasty Right for Me? Eyelid surgery, or blepharoplasty, removes excess skin and tissue from the eyelids, giving you a younger appearance and restoring peripheral vision and functionality. It can be performed on the lower eyelids, upper eyelids, or both. On the lower eyelids, it is performed to reduce puffiness and bags and on the upper eyelids, it is performed to reduce hooding. The procedure can make patients appear healthier, younger, and more alert. Plus, it can also help improve vision. The results from the procedure are long-lasting and can help improve the overall appearance of the face for years. Patients interested in blepharoplasty with Dr. Yoo should contact his office in Irvine, CA to request a consultation. Men and women seek this procedure to rejuvenate their eyes and restore vision. If you want to correct the following characteristics and take years off of your eyes, this surgery may be for you. Southern California patients interested in eyelid surgery with the esteemed Dr. Yoo may begin their transformative process by requesting a consultation using our convenient online form. Furthermore, patients should be in good health. This means that patients should be able to physically recover from the procedure; if the patient has any conditions that may inhibit them from proper recovery, then they must let the doctor know beforehand – including smoking, heavy drinking, or drug use. They must also have realistic expectations for the outcome of the procedure. Prior to undergoing surgery, the patient must be able to clearly articulate their goals from the surgery. Dr. Yoo will discuss with the patient their cosmetic goals and help them determine the best course of action for them prior to surgery. He will use his expertise and honesty to help the patient achieve their final results. 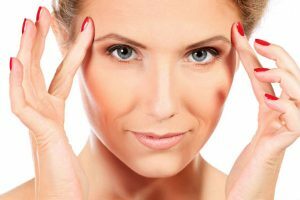 There are a few different eyelid surgery techniques that can be applied in order to help patients achieve their goals. Below is a description of each. An upper eyelid lift or upper blepharoplasty is a very common cosmetic procedure performed to improve the appearance of the eyes. It involves removing excess upper eyelid skin, tissue, and if needed, protruding fat pockets. The well hidden, carefully placed incision is made in the upper eyelid crease and heals to an imperceptible scar that is difficult to notice since it is made in a natural fold. For the majority of patients, upper eyelid surgery can be easily performed in the office using local anesthesia, thereby avoiding the costs of operating room fees and anesthesia administration. An upper blepharoplasty can be combined with a lower lid lift (lower blepharoplasty) and/or a brow lift as needed. In this case, the combined procedures are usually performed in an outpatient surgery center. Patients seeking lower eyelid surgery often complain about the ‘bags‘ underneath their eyes. These bags are usually caused by excess skin and protruding fat deposits. Lower lid lifts involve the removal of lower lid skin, fat or both. The surgery can be performed either through the inside of the eyelid (leaving no visible scar) and/or through an incision on the lower lid skin just beneath the lash line (leaving an unnoticeable scar). The approach used depends on the individual and on a case-by-case basis. The ultimate goal of lower lid blepharoplasty is to create a more youthful eyelid shape and contour. This procedure is often performed in conjunction with a lower lid procedure, especially when skin is removed during the lower lid surgery. The purpose of this method is to support the position of the lid during the healing process, helping to prevent the scarring that can affect the lid position during this critical time period. In advance of the surgery date, Dr. Yoo may ask the patient to get a physical examination. He will also take multiple photographs from different angles for further evaluation. In order to ensure that the procedure goes smoothly, Dr. Yoo will ask patients who smoke to quit in advance of the surgery. He will also instruct the patient not to take any aspirin, anti-inflammatory medications (Advil, Motrin, Aleve), or supplements (fish oils pills) that can increase bleeding. Finally, in advance of an outpatient surgery, patients should make arrangements for a responsible adult to pick them up from surgery and spend the first night with them as eyesight may be initially blurry. They should also fill any prescriptions provided by Dr. Yoo. Eyelid surgery can be combined with additional facial procedures for enhanced results. The most common procedure performed in conjunction with blepharoplasty is a brow lift. The eyebrows play an important role in the appearance of the eyes. When the eyebrows are positioned low, they can make the patient appear constantly tired or angry. It can also contribute to the appearance of excess upper eyelid skin and impaired vision. 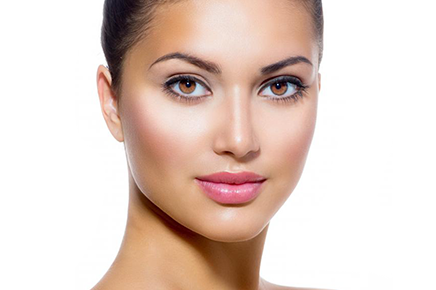 A brow lift is also sometimes called a forehead lift because it also enhances the appearance of the forehead. It utilizes discreet incisions along the hairline to tighten the skin and modify the position of muscles in the forehead. A brow lift procedure helps soften the appearance of deep forehead lines and frown lines while lifting the brows. Botox is an alternative to invasive surgery to provide patients with the appearance of a temporary brow lift and reduce the appearance of lines and wrinkles around the forehead and eyes. Other procedures that may be combined with eyelid surgery include a facelift or dermal filler injections. Eyelid surgery can be performed on either the upper, lower, or both eyelids. After the procedure, the eyelids will have stitches that will be removed within a week. Swelling and bruising is typically accompanied but should subside within one to two weeks. Dr. Yoo will ask the patient to come in for a follow-up appointment during this time to ensure that the patient is healing properly. After this brief recovery, the eyelids should look more youthful and alert. After this time, patients should be able to return to their regular routines. Results last for many years, but cannot fight the natural aging process. In order to maintain long-lasting results, patients should be sure to take good care of their skin, moisturize and wear sunscreen at all times when going outside. As the body ages though and the patient loses elasticity in their skin, they may find that their upper lids may begin to slightly droop. However, this can typically be addressed with a brow lift, as opposed to a secondary blepharoplasty procedure. The consultation is the first step in the eyelid surgery process. Dr. Yoo will ask the patient about their cosmetic concerns and goals. He will also evaluate whether or not the patient is a good candidate for the surgery with a physical examination and explain what can be realistically achieved through the procedure. In some cases, Dr. Yoo make recommend combining blepharoplasty with an eyebrow lift to meet the patient’s goals. We ask that the patient arrives prepared to discuss their medical history. This includes information about past surgeries, past or ongoing medical conditions, allergies, and medications. Once Dr. Yoo has determined that the patient is a good candidate for blepharoplasty, he will work with the patient to outline a detailed procedural plan. This will include personalized information on how to prepare for surgery, what to expect the day of the surgery, and proper recovery. Please do not hesitate to ask any questions, as Dr. Yoo wants to make sure that the patient is as comfortable and informed as possible when deciding to undergo cosmetic surgery. Following the consultation, once Dr. Yoo has discussed with the patient the details regarding their procedure, he will be able to provide a cost estimate. The cost of the procedure can widely vary, which is why it is important that the patient comes in for a consultation prior to receiving a price quote. Some of the factors that will be discussed during the consultation that can impact the price of the procedure include anesthesia, techniques, additional procedures, and more. Financing plans are available. Dr. Yoo takes great pride in helping people restore their confidence and loves seeing his work positively impact his patients. If you are considering this procedure, set up a consultation and Dr. Yoo will happily go over this procedure with you.